TAIPEI, TAIWAN and STOCKHOLM, SWEDEN (June 25, 2016) Acer Inc. (TWSE: 2353, LSE: ACID) and Starbreeze AB (First North: STAR) announced today that their respective Board of Directors have approved the establishment of a joint venture for design, manufacturing, promotion, marketing and sales of the StarVR Virtual Reality (VR) Head-Mounted Display (HMD) as previously announced May 15th, 2016 upon signing the letter of intent. 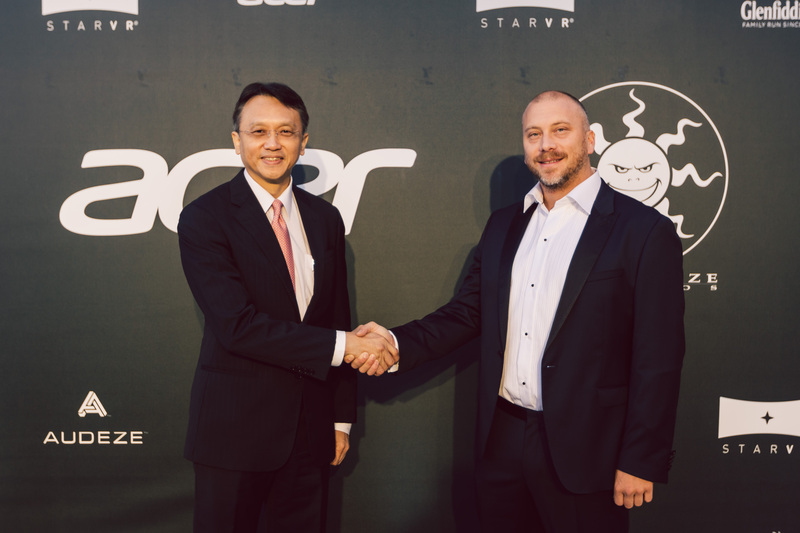 The new company is provisionally named Acer Starbreeze Corporation, with an authorized capital of up to NT$800 million (US$25 million) shared equally between the companies, and is expected to be incorporated in Taiwan in the third quarter of this year subject to necessary approvals from regulators. Acer and Starbreeze will each be holding 50-percent of the total shares and incrementally inject capital to the joint venture based on capital needs and planned schedule. With its best-in-class cinematic experience, StarVR targets professional- and location-based entertainment market such as high-end cinemas, gaming arcades, automotive retail and aviation training. We expect to ship a small volume of units in 2016, while mass production is scheduled for 2017. StarVR provides a truly immersive VR experience with its unique ultra-wide 210-degree horizontal field of view, with custom optics that deliver great image quality across the eye’s natural vision. This allows users to move their eyes freely in any direction and continue to be immersed in the virtual world, without the sensation of wearing blinders that conventional VR displays bring. Powered by a dual Quad HD display architecture, one per eye, StarVR provides a realistic visual experience with a total panoramic definition of 5120×1440 pixels, with highly-detailed scenes and virtually no screen door effect. Steven Chung, Corporate Communications, Acer Inc. Established in 1976, Acer is a hardware + software + services company dedicated to the research, design, marketing, sale, and support of innovative products that enhance people’s lives. Acer’s product offerings include PCs, displays, projectors, servers, tablets, smartphones and wearables. It is also developing cloud solutions to bring together the Internet of Things. As one of the world’s top 5 PC companies, Acer employs 7,000 people worldwide and has a presence in over 160 countries. Its shares are listed on the Taiwan Stock Exchange (TWSE: 2353), and Global Depository Receipts (GDR) are listed on the London Stock Exchange (LSE: ACID). Please visit www.acer.com for more information.